Untangling faith and stitching it up in everyday life is what Mary Westall does. 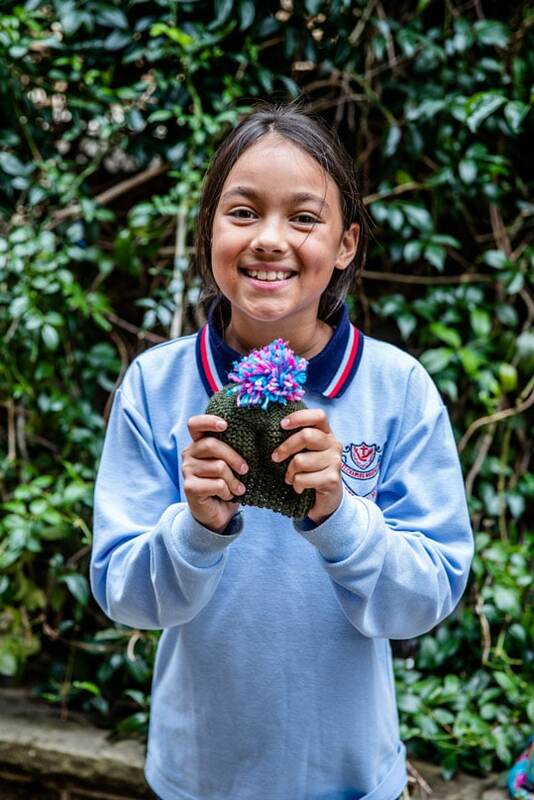 The Family Educator at St Charles’ primary school at Waverley has introduced a knitting club at the school where students like nothing more than having a yarn while knitting colourful squares that are sewn up to make blankets for those in need. The school community agree it’s a ‘purl-er’ of an idea which combines faith, friendship and just as importantly fun. 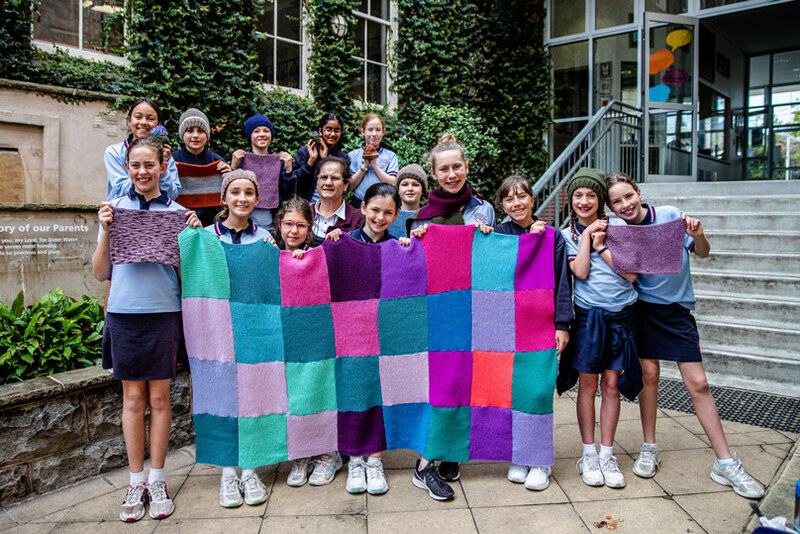 With the help of teachers, families and even the parish priest, the students forgo their lunchtimes to support Wrapped With Love, an Australian organisation which distributes thousands of hand knitted and crocheted blankets worldwide. The hand-made pieces can be made in any shape, size or colour, the only requirement is that they cannot be bought, sold or traded – only given away freely. The organisation which started in 1992, has now delivered more than 400,000 blankets to poor, cold or traumatised people in more than 75 countries, including Australia. 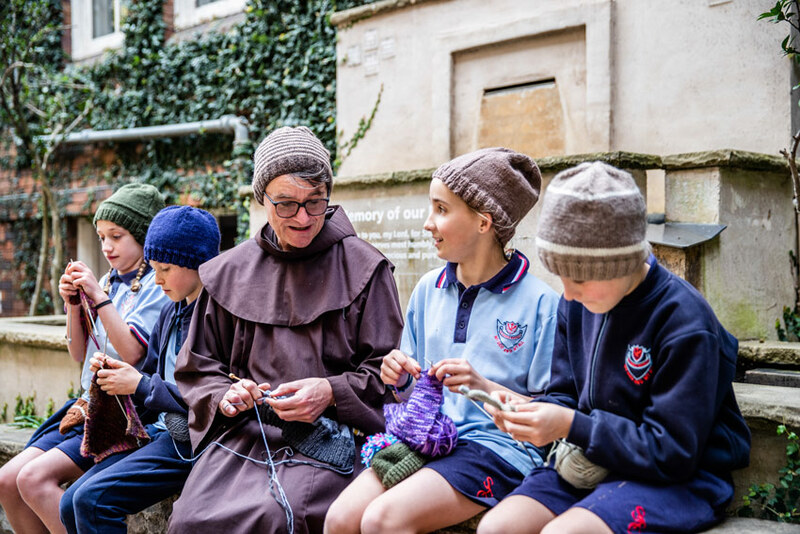 St Charles’ raised all of the money needed to purchase the wool and needles and have had scores of students wanting to cast on and help. 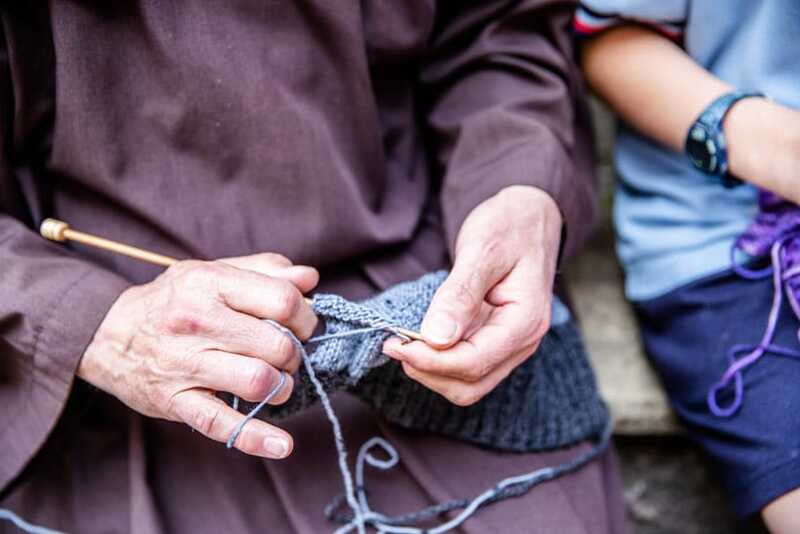 Self-confessed wool snob and parish priest Fr Bernie Thomas has been knitting for over 30 years and was more than happy to lend his support and now sings the praises of the work being done by both the Family Educator and the students alike. “It’s terrific seeing the kids getting involved, knitting is such a relaxing thing to do which can benefit so many,” he said. Family Educator Mary said the program had provided both parishioners and students an opportunity to come together and put their ‘faith into action’. She said knitting was selected as it was quite a simple thing to learn and have quite complex life-lessons attached. “Anybody can knit, but not everybody will give up their time to help others – our Knitting Club is showing both adults and students alike that it can be done and be fun,” she said. “One of our school values is the Franciscan charism of courtesy and it, along with our school motto of ‘ My God My All ‘ encourages us to give our all in service to others. In doing so, these students are in turn also giving ‘their all’ to God. “We started out with beanies and scarves which we donated to a women’s refuge and then decided to take our knitting on a grander scale and make blankets. “It has been great to see members of the community embracing what we are doing and getting involved in a variety of social justice outreach opportunities including the St Vincent de Paul winter food appeal, soup making for those sleeping rough, Christmas hampers for CatholicCare and fundraising for Caritas. The Family Educator Project was piloted in Sydney Catholic Schools in 2010 with just six people and today has grown to more than 100 offering opportunities for families to come together and grow their faith in their parish. Activities such as prayer meetings, morning teas, parent craft sessions, times of reflection and meetings for parents with toddlers are regular events aimed at parents who can then share their faith with their children.